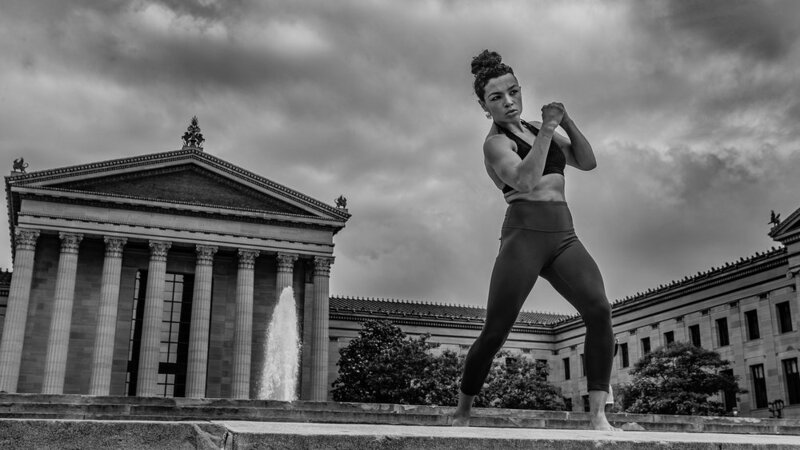 Welcome to Day 16 of 30 Days of Inspiration Today I'm talking with professional MMA fighter Jamie Colleen about finding her passion for being a professional fighter, training and enjoying the journey. Find out more about Jamie and her next fight right HERE. When and why did you start training for fighting?I've been competitive my whole life. Gymnastics, volleyball, cheerleading, and track throughout my school years. When that was over, I wanted to feel that competitive drive again. When I was 19, I tried my first kickboxing class and never stopped training after that day. I awakened a passion that I never knew existed and realized that I was pretty good at it as well. I wanted to see how far I could take it. Over the years, as I evolved more into MMA, my mentality evolved as well. Aside from the fact that my overall dream is to become a world champion, once I gave birth to my daughter, she became the driving force behind why I do what I do. What ranks and titles have you held? Former King of the Cage Strawweight Champion. What does it mean for you to fight in the UFC? To fight in the UFC means the world to me. It's a complete validation of everything I have worked so hard for in and out of the Octagon. It means that I now get to continue to pursue my dreams while being able to fully support and give my daughter the best life that I possibly can. She deserves everything I never had and more. It also enables me to be an even stronger role model and advocate for Women Against Abuse. This opportunity gives me an even larger platform to bring more awareness to Domestic Violence. What was your job before you started fighting? My amateur career started at the age of 20, so I held lots of odd jobs over the years - mostly in the restaurant industry. After I had my daughter, I was a nanny for many years before I jumped back into fighting again.